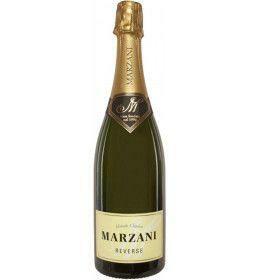 The 'Marzani Reverse' by Cantina Deidda comes from a particular production method, consisting in restoring the wine in oak barrels, before the sparkling process. Subsequently the rules of the classical method are followed. It rests for 2 years on its own bottled yeasts. The result is a sparkling wine with an inimitable character, extremely pleasant and complex in its aromas and taste. THE WINE The ' Marzani Reverse ' by Cantina Deidda comes from a particular production method, consisting in restoring the wine in oak barrels, before the sparkling process. Subsequently the rules of the classical method are followed. It rests for 2 years on its own bottled yeasts. The result is a sparkling wine with an inimitable character, extremely pleasant and complex in its aromas and taste. THE COMPANY The Cantina Deidda was founded in the late 90s in the locality of Simaxis, in Sardinia, with the original name of "Marzani Spumanti". The owner, Giampiero Deidda, starts the first production of Spumanti Metodo Classico dell'Isola, armed with that pinch of healthy madness and great enthusiasm. The choice of the name "Marzani" originates from the Sardinian word "mraxani", which means fox, as the inhabitants of Simaxis are nicknamed with this nickname. What might have seemed a gamble, on the other hand, took the form of a line of sparkling wines produced with the territory's grapes: monica, cannonau and vernaccia. We can safely say that Giampiero's dream has fully come true, with its wines that are conquering a growing number of fans, in addition to critical acclaim. 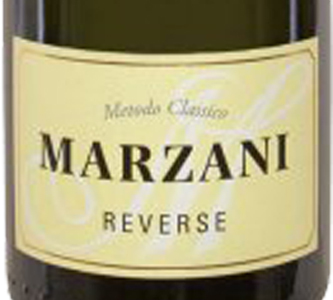 The name Marzani appears today in all the labels produced with the classic method, while the company name, as anticipated at the beginning, has changed in Cantina Deidda, given that the production has also been extended to still wines obtained from native vines such as cannonau , monica and vermentino. The range includes white wines, among which we find the Vermentino di Gallura DOCG "Liboriu", and reds, like the Cannonau of Sardinia DOC "Mariano IV". As for the Metodo Classico sparkling wines, the line consists of six labels, exclusively in brut dosage, with a prevalence of blanc de blancs, to which are added a rosé and a blanc de noirs, the "Marzani Fleur", produced with cannonau grapes and monica vinified in white, with a maturation on the lees of more than 14 months. Finally, it should be noted that the "remuage" of the bottles is strictly hand-made. Passion, technical preparation, tradition and innovation are the elements on which the production philosophy of Cantina Deidda rests, a company that has always worked with the aim of telling a territory and its history through wine. Tasting Color: straw yellow, with golden reflections. Perlage: persistent and fine. Bouquet: hints of ripe yellow pulp fruit, toasted and oxidative notes, references to yeast. Taste: well-made, harmonious and balanced, excellent in length. The Cantina Deidda was founded in the late 90s in the locality of Simaxis, in Sardinia, with the original name of "Marzani Spumanti". The owner, Giampiero Deidda, starts the first production of Spumanti Metodo Classico dell'Isola, armed with that pinch of healthy madness and great enthusiasm. The choice of the name "Marzani" originates from the Sardinian word "mraxani", which means fox, as the inhabitants of Simaxis are nicknamed with this nickname. What might have seemed a gamble, on the other hand, took the form of a line of sparkling wines produced with the territory's grapes: monica, cannonau and vernaccia. We can safely say that Giampiero's dream has fully come true, with its wines that are conquering a growing number of fans, in addition to critical acclaim. The name Marzani appears today in all the labels produced with the classic method, while the company name, as anticipated at the beginning, has changed in Cantina Deidda, given that the production has also been extended to still wines obtained from native vines such as cannonau , monica and vermentino. The range includes white wines, among which we find the Vermentino di Gallura DOCG "Liboriu", and reds, like the Cannonau of Sardinia DOC "Mariano IV". As for the Metodo Classico sparkling wines, the line consists of six labels, exclusively in brut dosage, with a prevalence of blanc de blancs, to which are added a rosé and a blanc de noirs, the "Marzani Fleur", produced with cannonau grapes and monica vinified in white, with a maturation on the lees of more than 14 months. Finally, it should be noted that the "remuage" of the bottles is strictly hand-made. Passion, technical preparation, tradition and innovation are the elements on which the production philosophy of Cantina Deidda rests, a company that has always worked with the aim of telling a territory and its history through wine.